The Hollywood Reporter just released its annual “most powerful people in New York media” list, and the most surprising thing about it is how unsurprising the new listings are. Former Mayor Michael Bloomberg provides the story’s lede–and while the piece mentions the expansion of Bloomberg TV and Businessweek, everyone knows that it’s still all about those terminals. The big news, though, is the addition of the names you’ve come to know from the digital side. 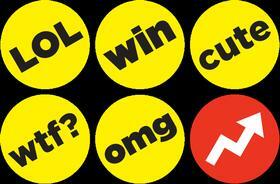 Jonah Peretti and Ben Smith: speaking of BuzzFeed, we hope you’re not tired of hearing these two names. And yes, the angle is “BuzzFeed is real news; it isn’t just about made-you-click GIFsticles anymore”. While we applaud Smith’s “proudest accomplishment”–the site’s coverage of the conflict in Ukraine–we do hope the quiz trend dies down. We won’t stand for any “Which Game of Thrones character are you” post that doesn’t tell us how much of a Tyrion we will always be. Shane Smith: …and VICE completes the THR new media trifecta. The reason why is clear: content. Smith thanks his editors and offers this key quote: “Now that people are realizing that there is a method to our madness, they’re saying, ‘These guys aren’t as stupid as we thought'”. Most obvious evidence of that fact: the decision to drop co-founder and resident “real man” Gavin McInness, who has been too busy reinventing himself as a right wing misogynist to share in his former employer’s newfound influence.